Each flower is quite small, but as they appear in such high numbers, they really put on a great show. These are 'upright' lobelias, so they remain relatively compact and are perfect for creating low-growing colour in the bedding scheme. They can also be used to add oomph to windowboxes and pots. This was the second year that I have ordered the lobelia bedding. The disadvantage is that they arrive as small plug plants and have to be potted on and over-wintered in a cold frame or greenhouse. However, the plants are very healthy and all survived the "beast from the east" in my cold frame. In the spring, the plants grew on quickly and flowered continuously from May through to around November. They looked absolutely stunning and received many compliments. 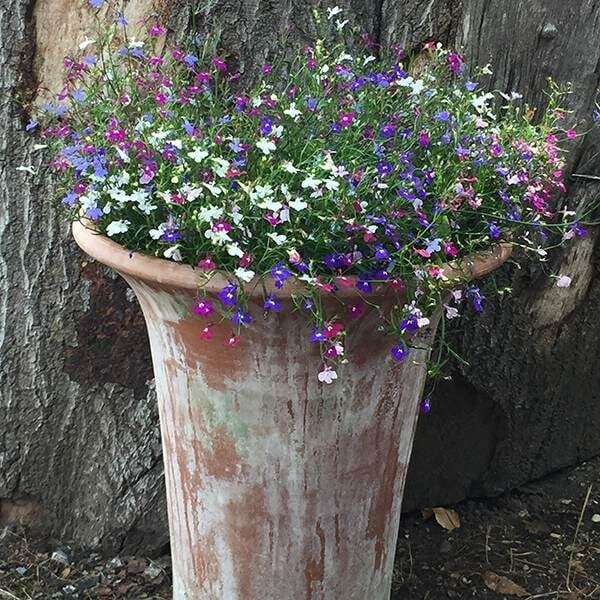 I generally prefer to buy perennials but make an exception for these lobelia because they are so colourful, long-lasting and such good value. Fantastic gap filler with spreading habit, either in pots of borders. I shall buy these plants again. The plants lasted well into autumn and made a colourful display. do lobelia ,after dying off , come back next year?